Arguably, the best part of our December/Christmas tradition is the lighting of the tree. Creating lights in the darkness seems to be a common theme at this time of year — Christmas isn’t the only holiday doing it! So anyone who enjoys lights, colors, and warmth can take at least some pleasure from the beauty of a lit Christmas tree. 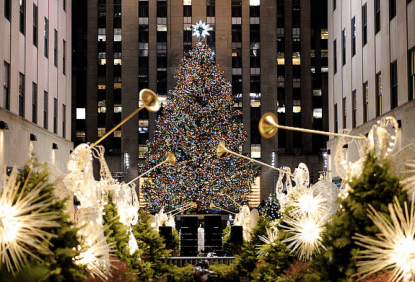 And how much better would that be if the lights were on a tree 85 feet tall? 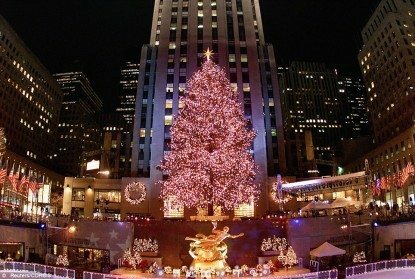 Well that’s what you can expect to see starting on December 2nd, 2015, and running up until January 6th, 2016, at the Rockefeller Center Christmas Tree! This is the 83rd consecutive year of this wondrous event, and they’re pulling out all the stops to make it even bigger and better than the last one. Expect thousands of other spectators to show up — admission is free, but people grab space as they come. It’s not really a controlled environment, if you know what I mean. But if you get there, you’ll be amazed. The lights are truly dazzling, and the tree is topped with a Swarovski star. Head on down! The tree has a history of many decades. Even prior to the erection of the first official tree, a tree was present in the square. During the Great Depression, workers collected their paychecks under its watchful gaze. And after the September 11th attacks, people came to see it dressed up patriotically in red, white, and blue. 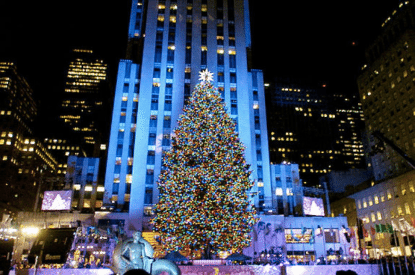 The Rockefeller Center Christmas tree truly is a sight to behold. It takes all of those happy holiday memories you have of light and warmth amidst the dark and cold, and puts them up on a massive scale. So go on over to see it, and go over on Seastreak. We can make your journey as warm, light, and happy as your destination — and your memories.